Spring is the time awakening the landscape from its winter slumber with all the flowers flourishing all the way down to the countries. And spring comes only one time in a year, why don't you take this chance to enjoy the natural beauty around you that you have been ignoring for such a long time? Today, Asia Senses will suggest some ideal places where you could catch the best seasonal spectacles! Referring to the attractive tourist destination in the spring, we probably cannot mention Japan - a country famous for cherry blossoms. Spring is the best cherry blossom season in big cities like Tokyo, Osaka, Kyoto and Nagoya to admire when white and pink colors put a layer upon all over the streets. The first flowers often appear in Okinawa in January, then Tokyo is set to begin blooming around the 21st of March. Yet, at the beginning of May, we will see cherry blossoms in full bloom in Kawaguchi-ko near Mount Fuji. Moreover, there is a culture named "Hanami" (flowers viewing), people gather to see the beauty of spring and picnic under the trees, enjoy sake. Spring is considered to be the most beautiful season of the year in Korea because this is the time when flowers bloom and all things grow. The natural scenery in Korea during this period is vivid and colorful. Jinhae, Changwon is located about 30 km west of Busan. It is a quiet coastal town known for Korea's largest cherry blossom festival, attracting millions of visitors each year. In the spring, the city holds the largest cherry blossom festival in South Korea, with hundreds of thousands of pink trees lining streets, railways, and streams. The two most special points to have an overview of the glory of cherry blossoms are Yeojwacheon Stream and Gyeonghwa Station. One more destination in South Korea that definitely makes you ecstatic is Jeju island. Just for a few beautiful sunny days in spring, the whole island is filled with flowers, not only cherry blossoms, but also yellow canola flowers and the last of winter's camellia flowers can be found. The weather becomes warmer and the temperature rises, everyone heads outdoors for a picnic and a camp or to the festivals that celebrate the springtime. If you are about catching this colorful and romantic moment when you travel to South Korea, it's best to keep an eye on weather predictions and plan your trip accordingly. Spring is the most bustling time in China with many traditional New Year festivals. The Great Wall takes out its ancient appearance and becomes bright and glorious instead with red lanterns, vibrant decorations and wildflowers. Visitors to China in the spring can also catch pictures of significant magnolias and lilacs near Buddhist temples, outside the Forbidden City, cherry blossoms in Shanghai’s Gucun Forest Park, and fields of bright yellow rapeseed flowers in Guizhou. From the end of March to the beginning of mid-May, Beijing features vibrant spring flowers such as peach blossom, magnolia, cherry, azalea. Besides, in mid-April, visitors to Beijing also have the opportunity to see millions of tulips with dozens of different species at the Beijing tulip festival. China looks so mesmerizing in the new year, doesn’t it? Spring is coming so don't delay your plan to take a week off after a hard-working year, many wonderlands in the world is waiting for you to discover. 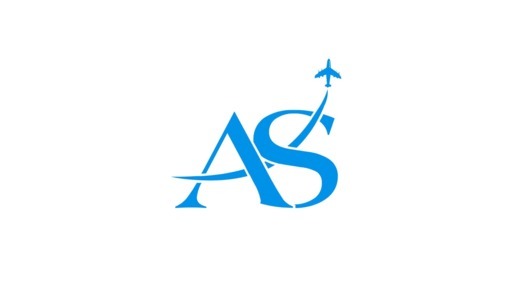 Asia Senses is always here to listen to your preferences and design a perfect itinerary for you!